Having a partner to help negotiate the complexities of selling your home is a MUST! 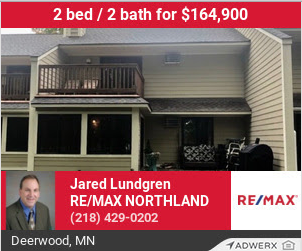 RE/MAX Northland is here to help! In addition to the traditional RE/MAX Advantage, we are currently offering commission rates as low as 5% as well as professional photography and drone videography! 1. The RE/MAX "BIG NAME" Advantage - We are proud to be a part of the RE/MAX team. According to the 2017 REAL Trends 500 survey, RE/MAX is the #1 name in real estate. RE/MAX associates included in the survey on average outsold competing agents with a ratio of more than two to one. In addition, we will complete a thorough market analysis to ensure that you get top dollar for your property. 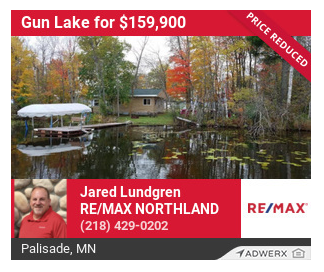 2.The "SMALL TOWN SERVICE" Advantage - Our team has several years of experience living and serving Aitkin and the local communities. Over the years, we have built strong relationships with the essential connections necessary to market and sell your home. 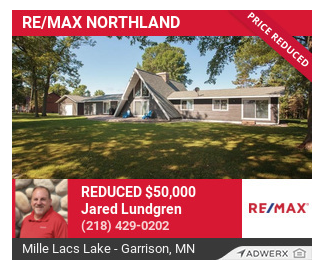 In addition to our knowledge and connections, to ensure you get top dollar for your home, we take time to complete an in-home, thorough market analysis for each and every home listed with RE/MAX Northland. 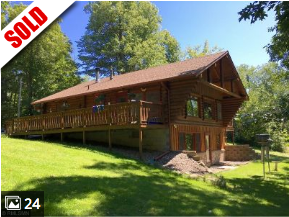 Check out the amazing AERIAL FOOTAGE and VIRTUAL TOURS for some of our FEATURED Listings!